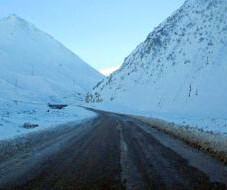 TBILISI, DFWatch–The SH-7 road in northwest of Georgia is closed after a rockslide near the village Tsitskhvari. 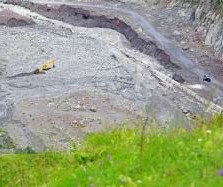 A large mass of rock and soil slid onto the SH-7, which runs between Zugdidi in Samegrelo and Mestia in the Svaneti region. 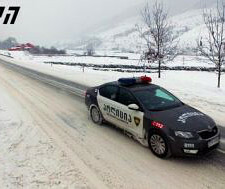 According to the Georgian Roads Department, the road is closed for types of vehicles near Tsitskhvari. Machinery is currently clearing the road and it will soon be reopened for traffic.